101Domain : We're making changes!  :DomainGang 101Domain : We're making changes! 101Domain is fast-approaching the one year anniversary of its acquisition by Afilias, and they are already making some changes. For starters, the company’s new accreditation name with ICANN is 101 Domain GRS Limited. The domain registrar with the most extensive database on ccTDL domains is rolling out new services and improvements. 101Domain – a popular domain registrar. Easy Website Builder – Try our free 2-page starter plan today and see how easy it is to get a professional web presence up and running in no time. Those other guys are expensive. Starting at less than $3/month, build, host and publish a complete website that works on phones, tablets, and desktops perfectly in less than 30 minutes. Choose from professionally designed and highly polished templates to project a professional image to your customers. Add the ability to sell an unlimited amount of products with Stripe and Paypal for less than $15/month! Branded Email Services – Email should be quick and easy right? No complicated setup processes or settings. We’ve made it super easy to setup your own custom email – start with one box for $1/month and expand from there. Setup your phone and other devices or use webmail, whatever your preference, in a few minutes. It really is as easy as 1-2-3.  Account to account transfers – Selling domain names or need to reorganize your accounts with us? Now you can move your domains between accounts with ease. Grab an auth code in your control panel and transfer your name to a new account… instantly. Keep your information private during the process if you’ve purchased WHOIS privacy with us. We don’t require a renewal and it’s completely free. Premium DNS Accelerator – Coming soon! Starting at $1/month per domain name. Dramatically increase performance and response time of your website and web services across the world with access to our full Anycast, DDOS fortified DNS network: you’ll get a commercial-grade anycast network, load balancing, and powerful DDOS protection from one of the world’s largest and robust DNS networks. Overall, a positive experience, so check it out at 101Domain.com.